DEVENS, Mass. 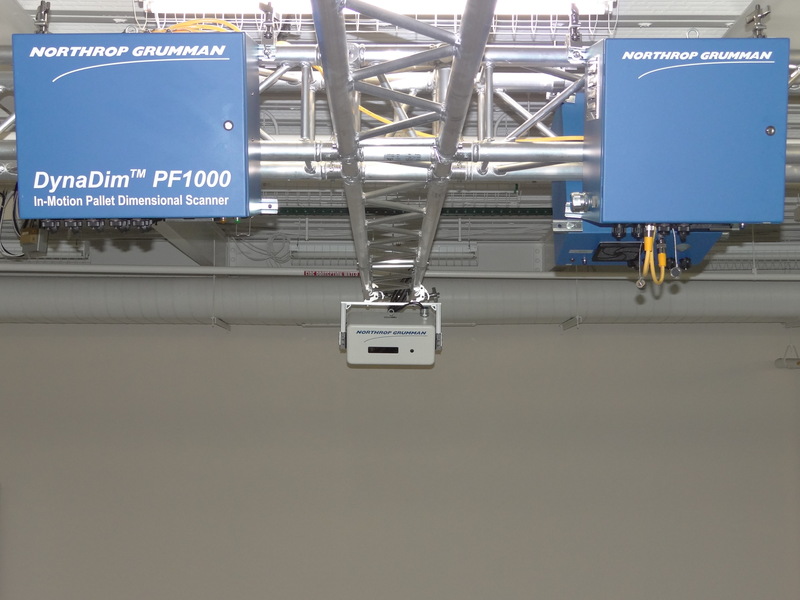 – Dec. 18, 2017 –Northrop Grumman Corporation (NYSE: NOC) announced its DynaDim™ PF1000 In-Motion Pallet Dimensioner has received the National Type Evaluation Program (NTEP) Certificate of Conformance for Multiple Dimension Measuring Device (MDMD). Developed by Adaptive Optics Associates (AOX), Inc., a Northrop Grumman Subsidiary, the DynaDim Dimensioner (www.northropgrumman.com/aox/DynaDim) is the logistics warehousing and shipping industry’s first NTEP-certified, in-motion travel lane dimensional scanner. The DynaDim Dimensioner measures freight while being transported by forklifts in the normal operational flow without stoppage. Its reduced cost per measurement and increased measurement rate allow shippers to audit nearly all freight in less-than-truckload (LTL) facilities. The DynaDim Dimensioner empowers shippers to improve operational planning and manage margins, cost and revenue by offering accurate, real-time, dimensions of every shipment. The dimensional information improves the effectiveness of weights and research inspections and enables density-based billing and freight profile development. Northrop Grumman’s AOX has decades of experience in enterprise-critical logistics, retail, and postal dimensioning applications for Fortune 500 companies and government agencies. AOX delivers image metrology solutions for demanding, high-speed, high-throughput, dimensioning and identification of pallets, parcels, retail cases and stock keeping units.